Interested in Senior Prom? Read all the details HERE. Ghost Vortex from Austin High School Media Arts on Vimeo. A short documentary on personal stories of encounters with the paranormal and unexplained. Real Ghosts. Real Stories. Ghost Vortex. 2019-2020 Austin High Cheerleaders. Congrats! ​Dancers from Austin High's Ballet Folklorico performed at Pease Elementary's Hispanic Heritage Festival September 28th. The Academy for Global Studies juniors attended the American Indian Heritage Festival at the Bob Bullock Museum on September 28th. High Tech Academy Freshman had a recent project work day using the MakerSpace and working in the iLab. 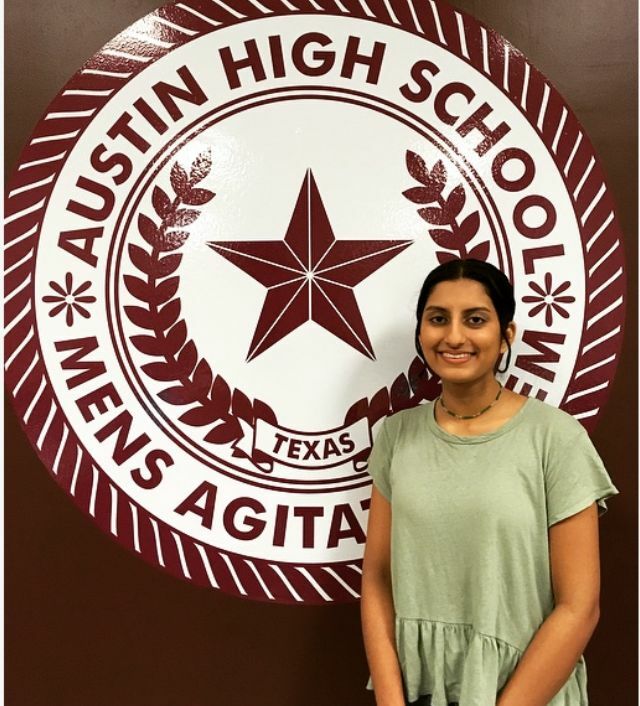 Congratulations to senior Avni Singh. She has been selected as a 2019 Morehead-Cain Scholar! This is the 2nd year in a row that Austin High has had a recipient of a Morehead-Cain Scholarship. Shout out to my other student Lucia Hagert, who is finishing up her first year @uncchapelhill. Riley Cruzcosa was awarded a National Gold Medal in Drawing and Illustration for her artwork of Retrospect, a drawing of her father and Riley as a baby by the Alliance for Young Artists & Writers. She will be honored at The National Ceremony at Carnegie Hall, June 6, 6:00 pm. Receiving a National Medal places Riley within the top 1% of all submissions! Ethan Tocker was awarded a National Silver Medal in Photography for his photo Forgotten, from Marfa, Texas. Both students' work will be published in the Online Galleries at artandwriting.org in June their names will be listed in the 2019 Yearbook, a companion publication to The Best Teen Art and The Best Teen Writing anthologies. 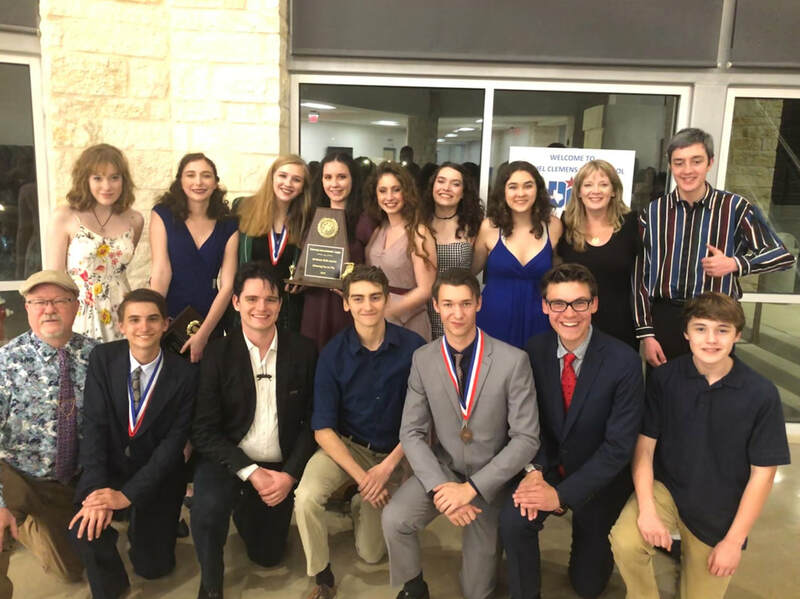 The Austin High School Theatre Department ranked 1st at the Bi-District UIL One-Act Play Contest, advancing to the Area Contest on April 6. ​In addition, Theatre placed 1st in the District UIL One-Act Play Contest. This is the 52nd District Championship for Austin High!